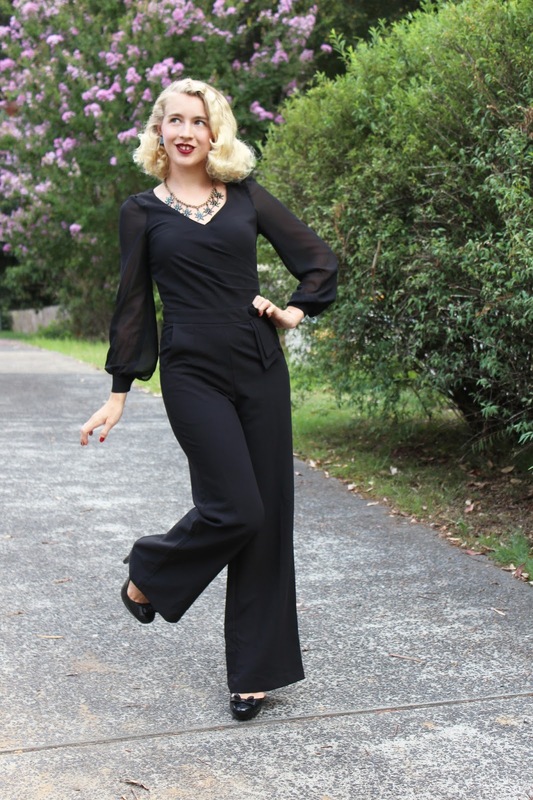 Last season Voodoo Vixen released their first jumpsuit which I blogged about and also fell in love with, see here. Their latest collection brought two more jumpsuits and a happy Kayla, the Rosemary jumpsuit is pure elegance and effortless to wear. I hope to eventually add the Zoey jumpsuit to my wardrobe but I see myself getting a lot of wear out of this one as it just easy to wear and pair with different shoes and accessories etc. The sleeves, the fit and the length all work really well for me, I didn't need to hem the jumpsuit at all, usually I need to hem them a bit. I went with my regular size small and this fit is spot on. I first wore this jumpsuit to a small wedding in the city, I was crazy to wear it on a really hot day but I didn't care I had to wear it!!! Once we were in the air conditioned hotel for the event it was fine but sometimes you have to endure a bit of heat and sweat to wear a gorgeous outfit haha. 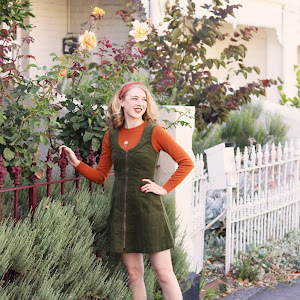 Come Autumn I will be getting lots more wear out of it but I'm glad I took the chance despite the crazy heat to enjoy this jumpsuit because I felt pretty stylin' in the city wearing this. I highly recommend Voodoo Vixen jumpsuits because they are just so damn classy and comfortable! 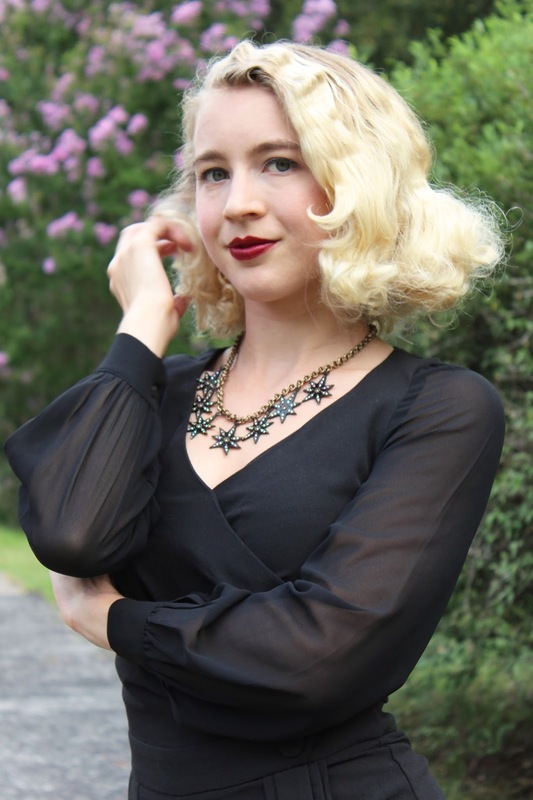 When I first received this jumpsuit I immediately thought of this star necklace after purchasing it ages ago, it sits nicely with this neckline and it looks rather interesting with the amazing sleeves. The Voodoo Vixen website is running low on stock however, Unique Vintage have all sizes in stock (and on sale)! I have another Voodoo Vixen winter look coming soon I was able to shoot a couple of winter pieces on a cool day in between the heat waves, ah the relief of a cool day! This jumpsuit is amazing!! I need one, now. You look wonderful - black really suits you! 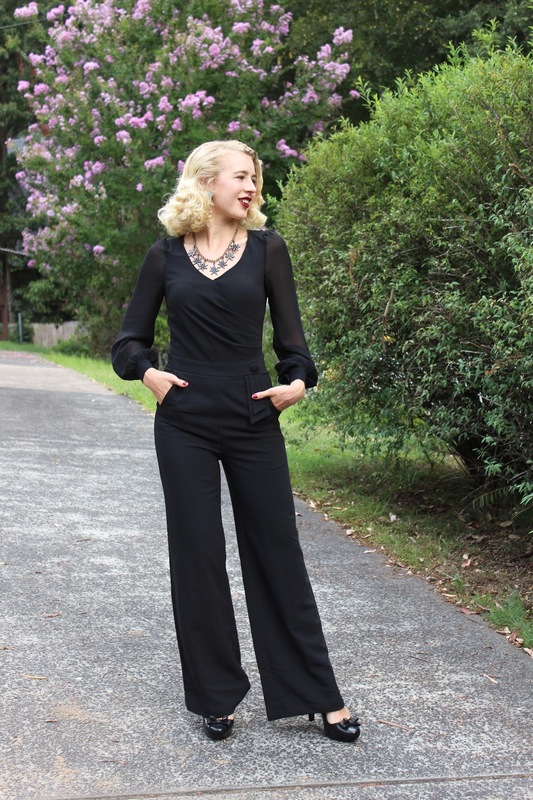 This is such an elegant jumpsuit and it looks really comfortable. I think I need to add one to my Winter wardrobe. Wow! That's seriously a jumpsuit? I had to read that first sentence a couple of times, because I really would have thought it was pants and a top. The fit is just impeccable. I'm loving that star necklace as well. 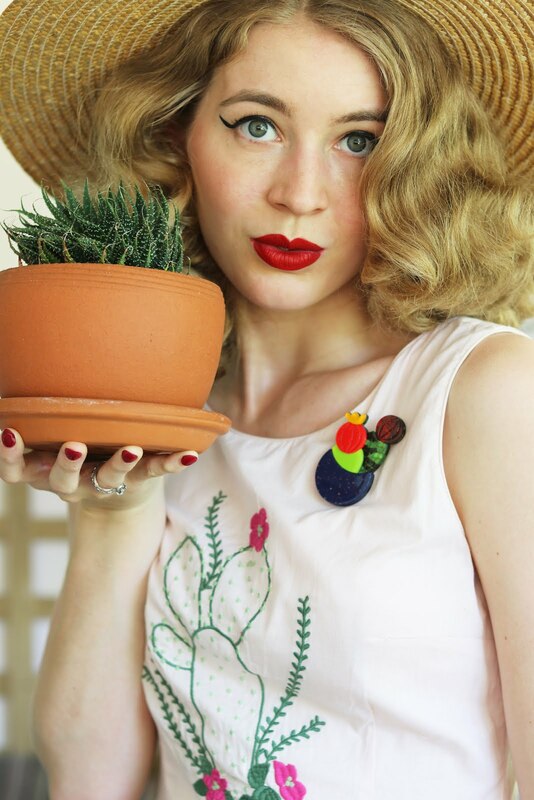 This has such a gorgeous, late 30s/early 40s feel to it. So pretty! I love all the details like the sleeves, wrap style top and art deco touch at the waist. very Hollywood glam, love it.